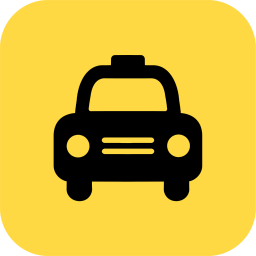 Booking your next Taxi airport transfer from Trowbridge area has never been easier with our FREE app: TaxiCaller and easy-to-use online booking system. Why pay for expensive airport parking, when we can take you from your door to departure in style and comfort. Our highly competitive fixed prices can work out cheaper than other forms of public transport. They may even be cheaper than driving yourself and parking at the airport. Getting to the airport can be stressful. Your uniformed Mega Taxi driver will be there to collect you, so just sit back, relax and let us take you to or from the airport in style and comfort. The TaxiCaller booking app has revolutionised the way you book, and now track your Mega Taxi vehicle in and around Trowbridge. Every hour of every day you’ll jump the queues on the phones to access our Mega Taxi Fleet. The best thing about the App however, is your ability track the vehicle you’ve booked on the integrated map. You will also be able to know exactly what vehicle you’re getting into! Essential to avoid getting into unlicensed and uninsured vehicles! A few taps on your phone is all it takes to book with us, avoiding the need to call and long queues on the phones at peak times.